Tiramisu is an Italian dessert which simply means "pick me up" or metaphorically "make me happy". This name cannot be more very apt because the creamy trifle is perked up with strong espresso and Marsala wine. 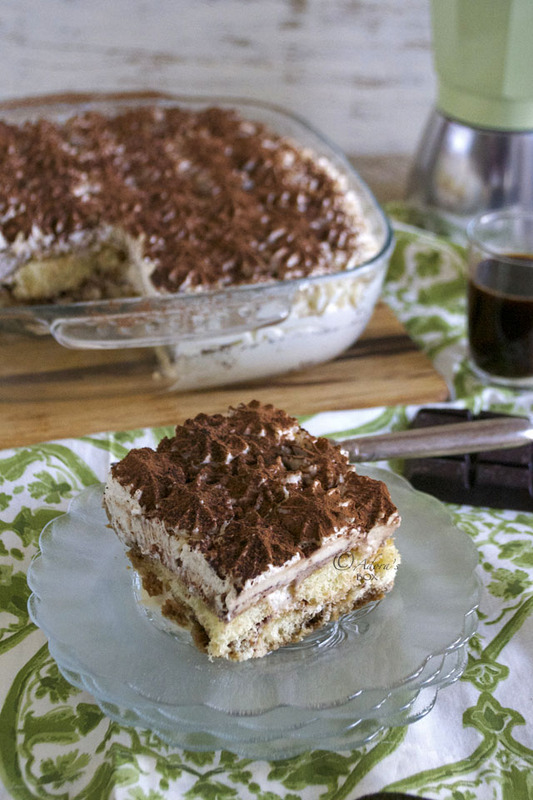 I love tiramisu and have plowed through a lot of recipes to find THE one for me. Some recipes have uncooked eggs in them and that bothers me a lot. Some have no eggs and and although that takes away the worry of eating raw eggs, I think the richness that the eggs give the recipe is totally necessary. I chanced upon Anna Olson's recipe on tv. I like that she cooks her egg yolks first into a sabayon before incorporating them into the recipe. Only a handful of ingredients went in and the procedure was quick and painless. Lashings of mascarpone custard layered with Marsala wine and espresso dipped biscuit fingers are topped with whipped cream and cocoa dust. Although mascarpone is a cheese, it tastes more like clotted cream. 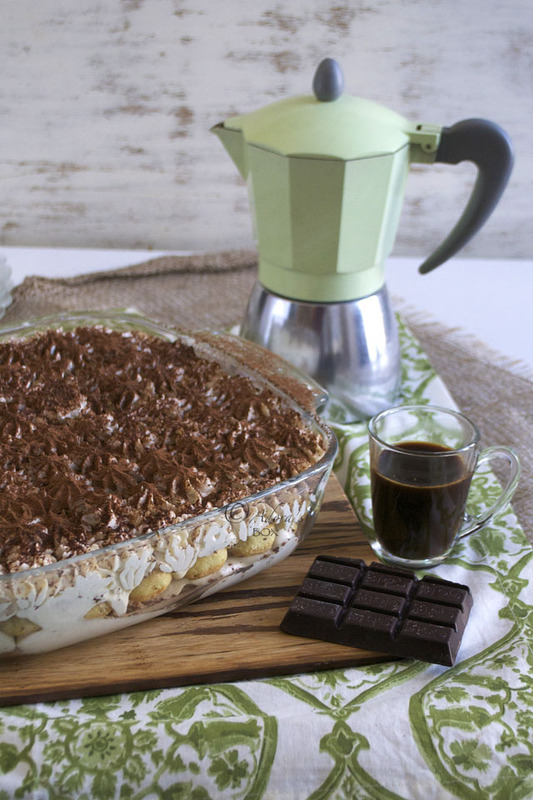 Since this is a very creamy dessert, I used extra strong espresso, enough to wake Lazarus up. Together with the grated plain chocolate and cocoa powder, that added a bitter edge to balance the taste. 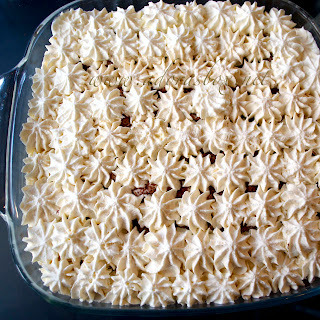 Although Anna used rum, I used the more traditional Marsala wine for mine to add the real flavour of Italian tiramisu. I made one large tiramisu instead of four individual ones and I'd say this would serve 6-8 people, depending on how much they like it. 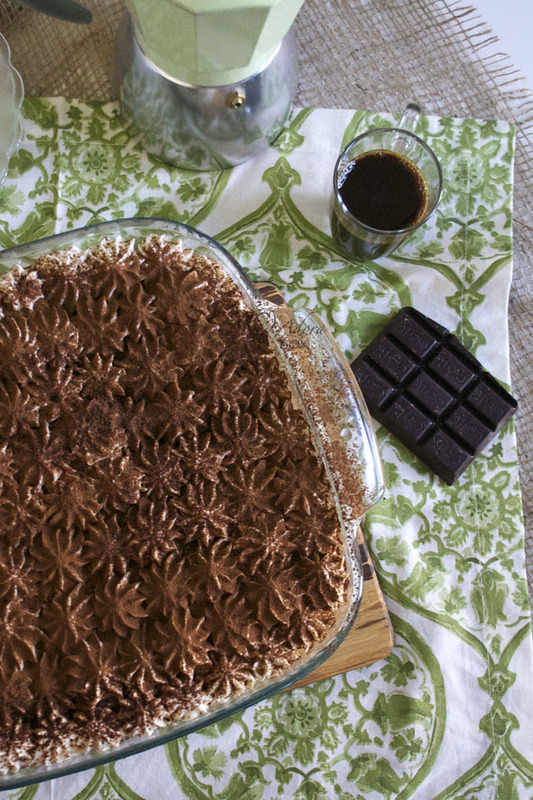 This is such a simple dessert that can be whipped up in minutes and the result is simply divine. 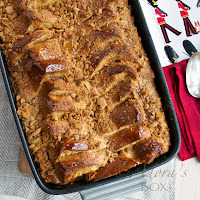 Having written this now will save me a lot of work later because the next time we're having this dessert, I will just ask my children to follow this recipe. That will give me time to put my feet up and have a cup of coffee. 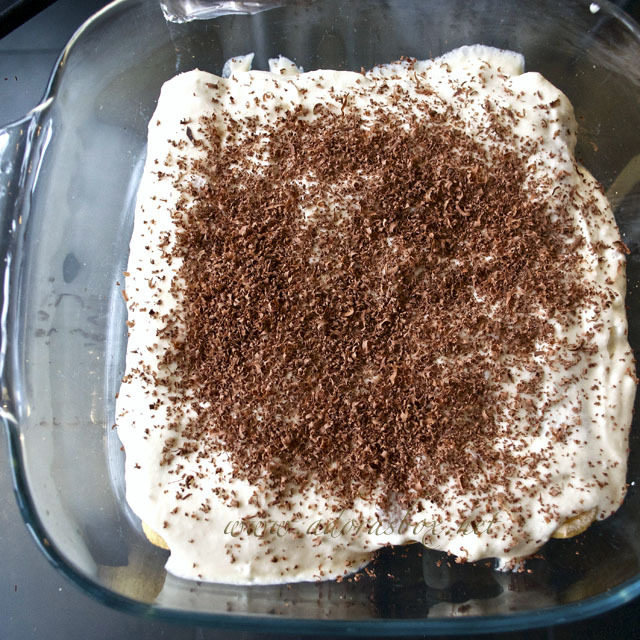 Recipe adapted from Anna Olson's recipe of Classic Tiramisu. Put the egg yolks, sugar and vanilla extract in a metal bowl. Sit this on saucepan with hot water, making sure that the water does not touch the bottom of the bowl. Keeping, the water on gentle simmer, whisk the egg yolk mixture until thick, light in colour and double in volume. 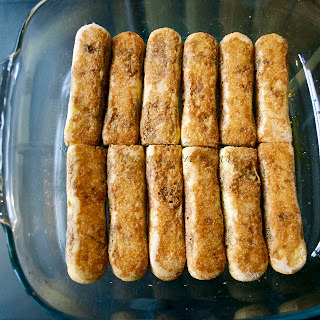 The mixture should leave a trail when drizzled on its surface. Remove the mixture from heat and whisk in the mascarpone until smooth. In a different bowl, whip the egg whites until soft peaks form. Fold into the egg yolk mixture. Stir the ingredients together until the sugar melts. Use while still warm. Whip the cream, sugar and vanilla extract until fluffy. You will need a 2 liter glass dish. 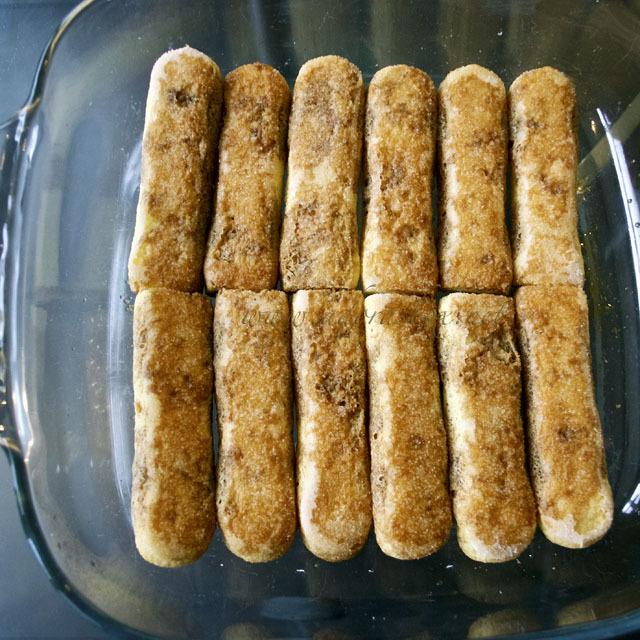 Dip half of the sponge fingers briefly into the espresso syrup then arrange them in a single layer on the bottom of a 2-liter glass serving dish.Trim off the ends if you need to make them fit. Spread half of the custard on top of the fingers and grate some plain chocolate over it. Repeat the layers. 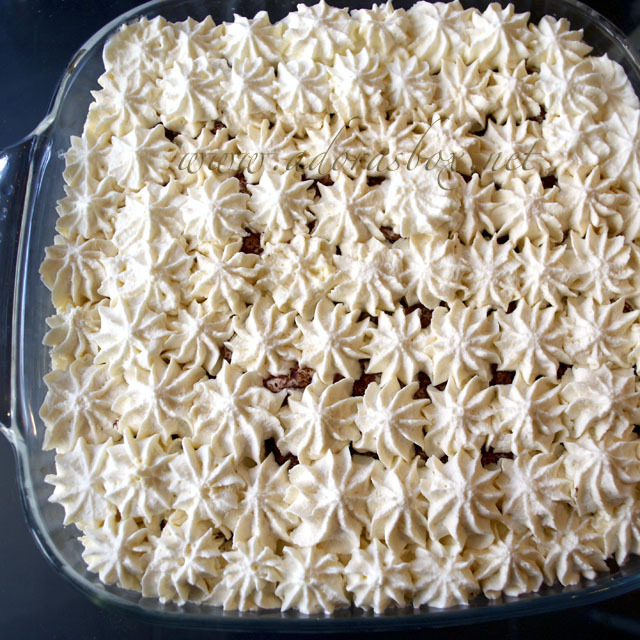 You can dollop the whipped cream on top or fill a piping bag and pipe rosettes on top of the dessert. Finally, dust with cocoa powder. Refrigerate until ready to serve. I loves all Anna Olson's recipes. Your tiramisu looks very tempting to me. 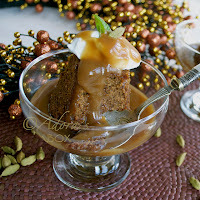 The ingredient marsala in the espresso syrup, what is that? Spice ingredient as like the garam marsala? It sure looks really very yummy with that slice cut. Hi Mel. Marsala is an Italian wine. You can substitute rum for that. Yum! I feel the same with the raw eggs. A definite make for me. I hope the one I'll make will looks as good as this. 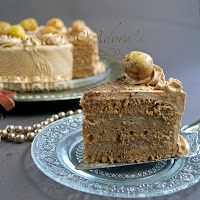 Hi Adora, this is really a perfect and amazing Tiramisu, well done!!!! Tiramisu is my all-time favorite dessert. Anna Olson's version with custard sounds great. I usually make mine without raw eggs since the kids like this too. Hi Adora, yea the raw eggs bothered me too. Its hard to find good tiramisu these days. I had one in a reputedly five star, award winning italian restaurant recently, and the tiramisu was a big letdown. Wil give ur recipe a try one of these days. 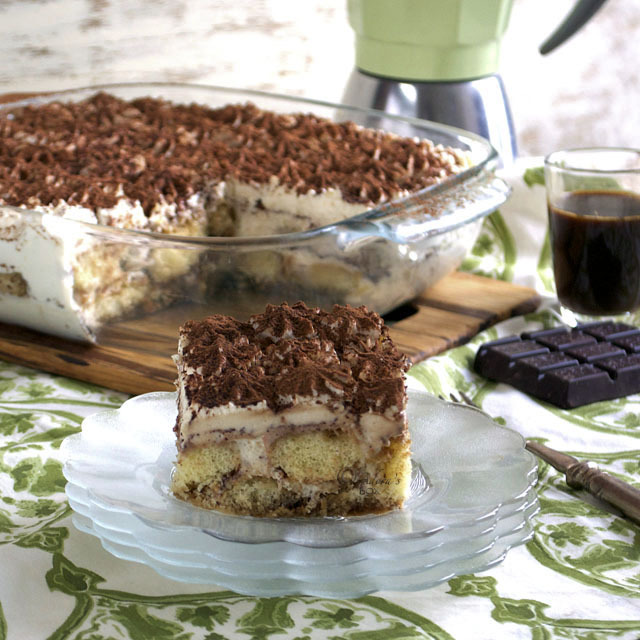 Oh yum, tiramisu is my favourite dessert - yours looks divine! Beautiful work. I would love to try this sometime, thanks for the inspiration! It's just been during the past few years that I have acquired a taste for Tiramisu. In fact, I now love it! Your's is different from the few that I have had, but I think I would like yours even better. Anything called "classic" has got to be good. Thanks for sharing! 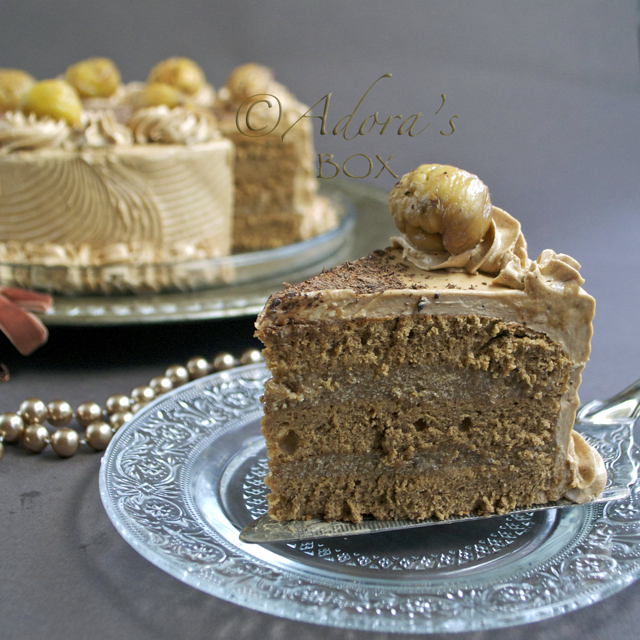 Beautiful and very inviting Tiramisu, Adora! I should try this!